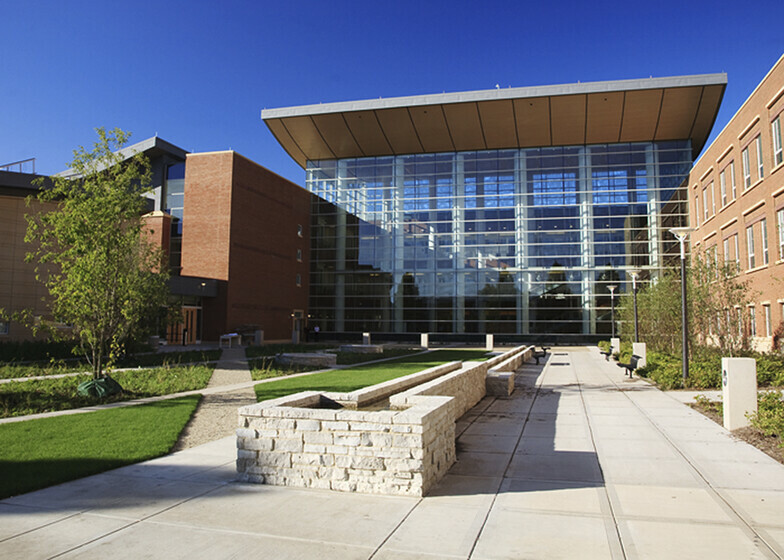 This first green building on the UIUC campus sets a new standard for performance at the university. The design also included several other “firsts” for UIUC, including the first green roofs, displacement ventilation system, low-flow water fixtures, triple pane windows and super-insulated envelope, a photovoltaic array and native vegetation. From early feasibility studies, Atelier Ten informed fundamental decisions related to massing, daylight, thermal zoning, and mechanical system types. 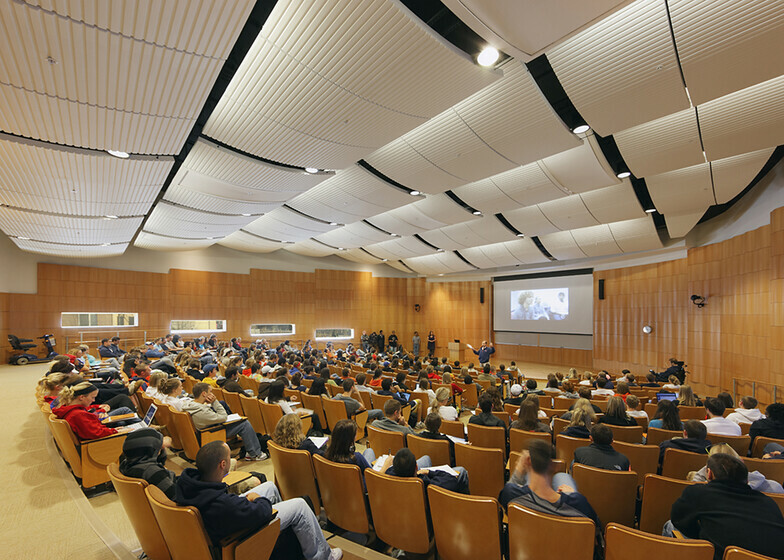 Extensive studies helped optimize the envelope: daylight is distributed in classrooms and atrium; the atrium overhang enhances solar control, and wall assembly detailing reduces heat loss during cold winters. Overall energy use is 51% better than ASHRAE 90.1-1999. All innovative design concepts, such as green roofs, advanced lighting controls, or green furniture guidelines, informed revisions of the university’s design standards to allow for future use of sustainable design features on other projects.